Every woman and men with experience in ballet starting from 16 years till 60 years old. 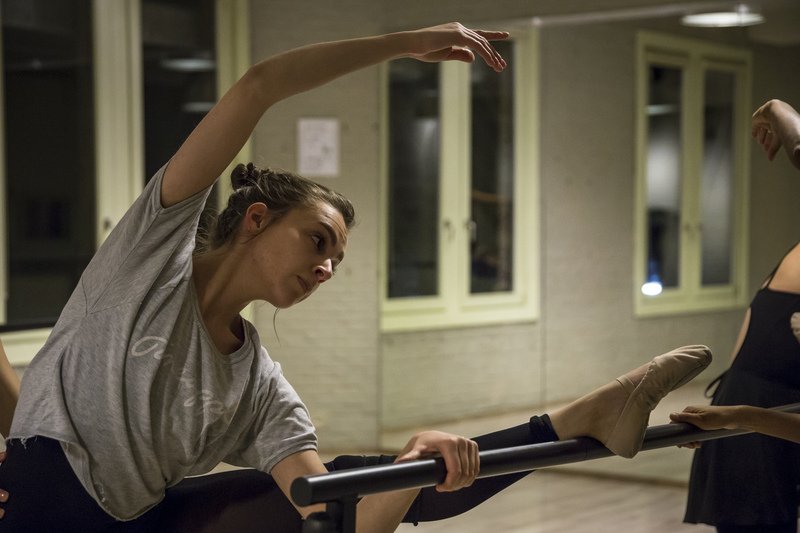 The advanced classes are great if you have been following the Ballet Workout Beginners classes for some time and would like to challenge yourself and learn more. If you have experience in yoga or other physical disciplines we still recommend you to take our Beginners Ballet Workout courses to learn the basics. It’s important to have a good basic ballet technique for safe performance of each movement. We work on the body and the technique. The class is still a Full Body Workout and includes barre, center, floor exercises and stretching. In these classes you continue to learn new ballet steps and combinations. It’s a great way to challenge yourself, you will learn a lot in these classes. You should feel comfortable, be able to move and see you body. For the first trial class it is good enough to wear stretch pants or leggings and a top. On your feet you can simply wear socks (no bear feet). After the trial class we recommend you to get a ballet leotard, ballet shoes and tights at the spot for an affordable price. The dancewear will ensure you can move comfortably and see your body position better. Make sure to bring a bottle of water to drink during the class. Take a look at our social media pages!